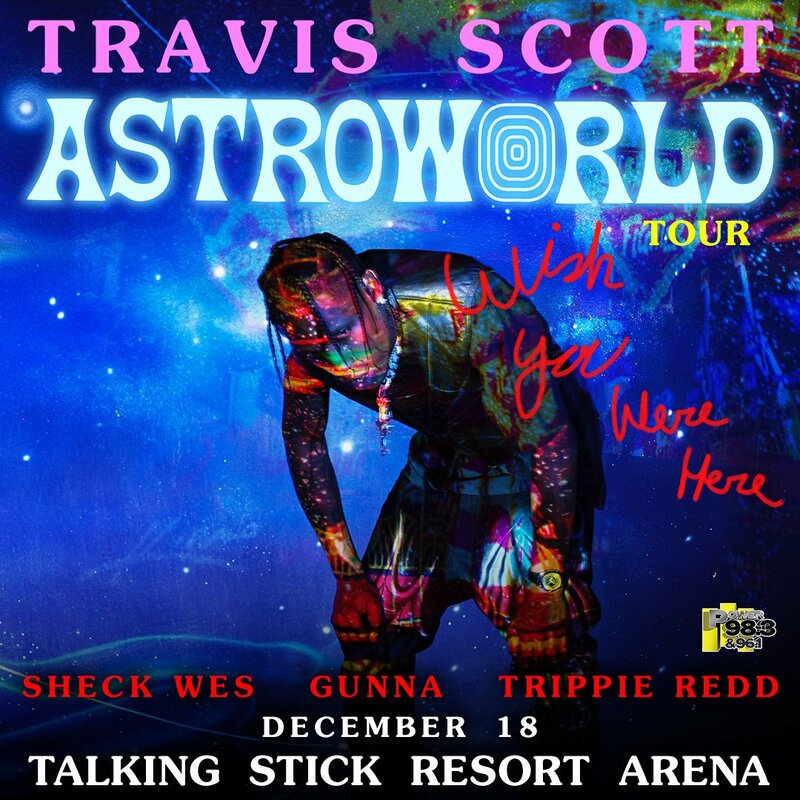 Power 98.3 presents The Astroworld Tour starring Travis Scott, Virgil Abloh, Sheck Wes, Gunna and Trippe Redd Tuesday, December 18th at The Talking Stick Resort Arena. Listen all week for your chance to win a pair of tickets. Tickets on sale at the Talking Stick Resort Arena Box Office or click below.